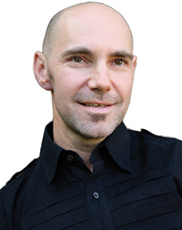 Manu Butterworth is Founding Director of Golden Gate Feng Shui School. Since its creation in 2002, the school has developed a reputation for its innovative and dynamic program whose integrity is based upon authenticity, nondogmatic teaching principles, experiential coursework, and a faculty comprised of world-renown experts in their field. Manu has been involved in the study, practice and desemination of various branches of Traditional Chinese Medicine for the past 20 years. Some of his areas of expertise include, nutrition (food energetics), electro-magnetic radiation detection, and creating healthy environments in the home and workplace. His passion is to provide learning opportunities for others so they, in turn, can create an ever-widening ripple effect of positive influence in their own communities. Manu has over 20 years experience working in the field of natural health and as an international feng shui consultant. He works privately with individuals as well as with architects, builders, realtors, designers, and other professionals. He has studied Traditional Chinese Feng Shui with Liu Ming, Howard Choy, Alex Stark and with William Spear, educator and author of the best-selling book Feng Shui Made Easy. Manu is also a graduate of The New York School of Feng Shui. His knowledge of natural health and nourishing foods served him well as a private vegen chef in New York and London, where he prepared whole foods meals for clients recovering from degenerative illnesses. He also worked as a chef for the headquarters of an international yoga foundation in upstate New York, cooking for up to two thousand people. At the foundation's branch in India he served as manager of the food services department. Prior to devoting himself full-time to the holistic arts, Manu managed a mortgage brokerage, worked in sales, and founded a successful moving company in New York City. Manu resides in the San Francisco Bay area. In addition to his role as Director of Golden Gate Feng Shui School, he teaches regularly in the certification program. Manu's holistic approach to a feng shui consultation takes into consideration individual needs, food, environment, life circumstances, and physical condition.